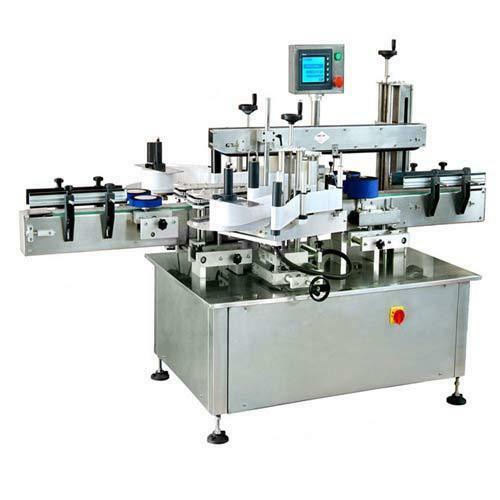 With the inclusion of advanced technical knowledge and innovative machines in all our processes, we are engaged in supplying a broad assortment of Flat Bottle Sticker Labeling Machine. At our manufacturing unit, we design this sticker-labeling machine by consuming sophisticated technologies in adherence to predefined standards of our competitor. Along with that, our sticker-labeling machine is accessible in numerous models and can be easily purchase from us at industry leading rates. We, Heli Engineers, established our operations in the year 2010, as one of the reputed manufacturers, exporters and suppliers of an unlimited assemblage of Packing Machinery. Our product compilation comprises of Sticker Labeling Machine, Semi Labeling Machine and Coding Machine that are massively acclaimed for their quality and flawlessness. Our company has been awarded Appreciation Certificate in Khadya Khurak event, held in the year 2014. From the very beginning, we have been focused on catering to the exact requirements of our valued customers, without compromising with the quality at any point. Furthermore, to make sure of the same, for the manufacturing process, quality grade raw material is used at our end. We are backed by a state-of-the-art infrastructure facility that is one of the biggest supports of our company. All the machines at our workspace are quite efficient in conducting hassle-free operations. Moreover, without the support and dedication of our experienced team members, we would not have successfully established our name in such a minor service period. Indian Subcontinents, East Asia, Middle East and South East Asia are our major exporting areas. Our company engages in ethical deals only.